Laptops, Notebooks and ultra-book are common these days and every users wants more battery life without having to plug it in all the time. But most of the time when you are traveling it is not possible for you to charge your laptop regularly and your laptop runs out of battery frequently. Today we found a new free for Windows called Battery Optimizer which helps you to increase the battery life of your laptop. The app is free to use and designed to fix a problem that plagues most people, short laptop battery life. The app help you to save the energy of your laptop and extend the battery life in the same time. 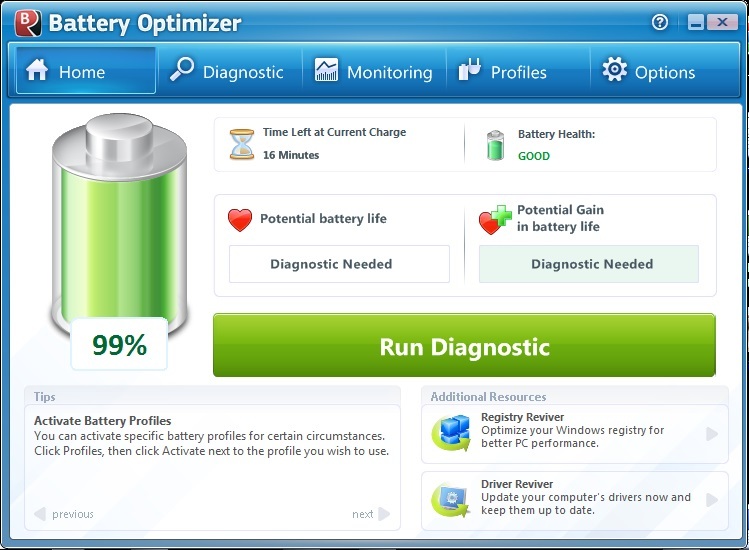 Battery Optimizer app works on both 32 and 64-bit versions of Windows XP, Windows Vista, Windows 7 and Windows 8. All you have to run this app on your windows laptop to optimize the performance of battery. 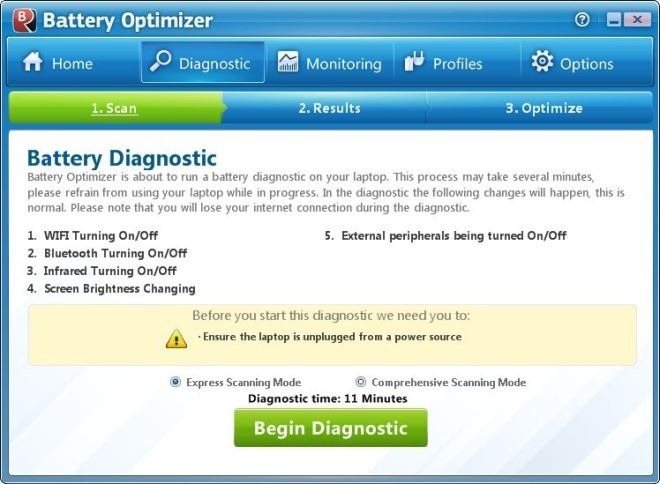 At first time Battery Optimizer asks to run a diagnostic, run the diagnostic on your laptop, the process will take some time. So make sure that you laptop is fully charged, because in the time of process the app will ask you to unplugged the power source. Now this time the app will perform a series of tests and diagnostics, including turning WiFi on and off, and changing the brightness of the screen. Once the process is complete, the new screen appears on the app which shows you how much battery life you’ll gain with Battery Optimizer’s optimizations. 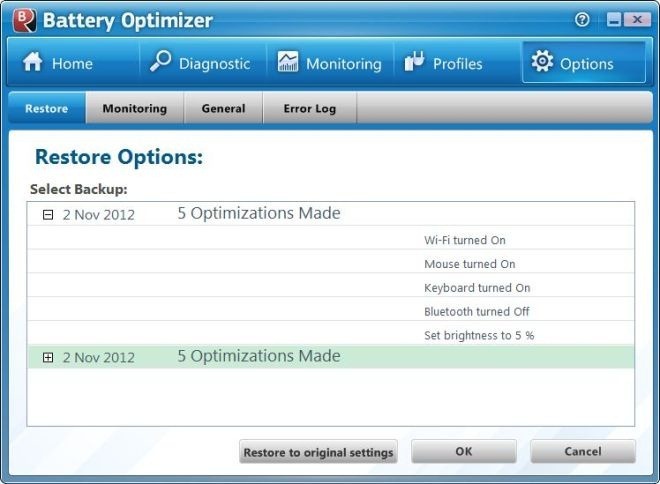 Battery Optimizer is handy app for all laptop users who want to improve their laptop’s battery life. Also you can set up Battery Optimizer to warn you when you battery usage increases to a certain level. In this way you will improve the life of the laptop battery. We tested this App on our Dell Windows 8 Laptop and it works fine.